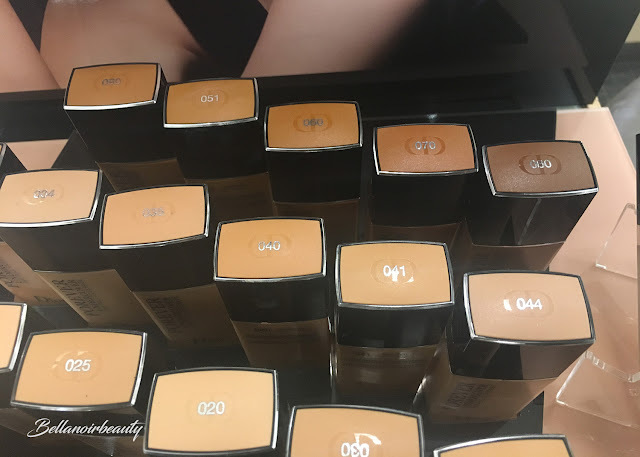 Sooooo, if you have seen my Currently Coveting post, you know I was seconds away from buying the Dior Forever Undercover Foundation when I found out that the Fenty Beauty Foundation I had been trying to get my hands on came back in stock. I really wanted to go in store to swatch the Dior foundation because I couldn't decide just looking at the colors online what shade to buy. So I went in-store to swatch! Now, I must say I am quite disappointed in the shades. There are only three dark shades and none of them work for me. They looked so different online! The only shade I could mayyyybe get away with is 70 and it is obviously too red on me in person (you can't really tell in the photos, but it's not wearable for me IRL). However, and this is a big however... the foundation surprised me in another way. 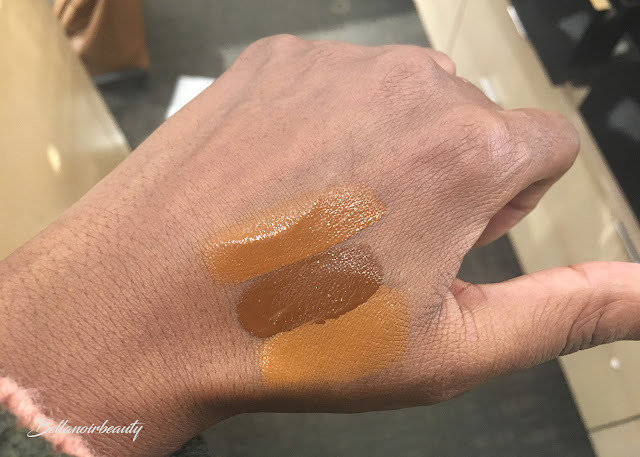 I decided to try it out on my face because sometimes, swatching on your hand is not the best way to test shades. 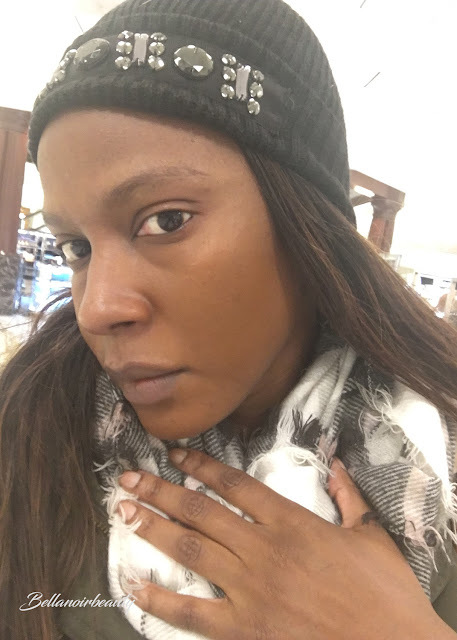 I applied a small drop of the foundation in shade 70 to both sides of my cheeks and blended a thin layer out with my fingers, where my dark acne scars were prominent. By the way - you don't need a lot of this foundation. 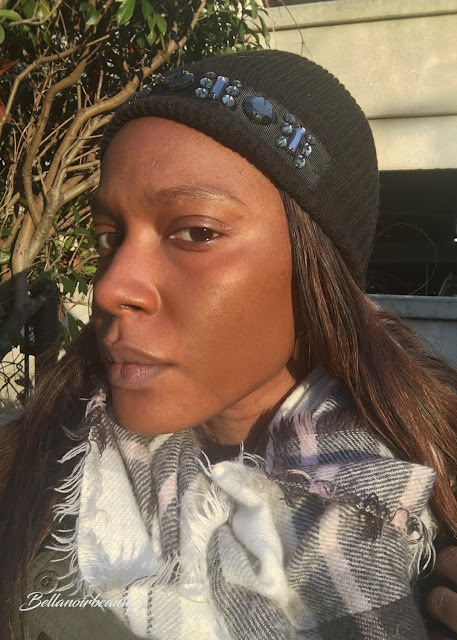 A little bit goes a long way (it's medium coverage in my opinionfor my skin but can be built up to full - you can see my acne scars peeking through). After realizing it wasn't a match, I didn't wipe it off, I just kept it on. Later on, I realized that it barely transfers. This is big. 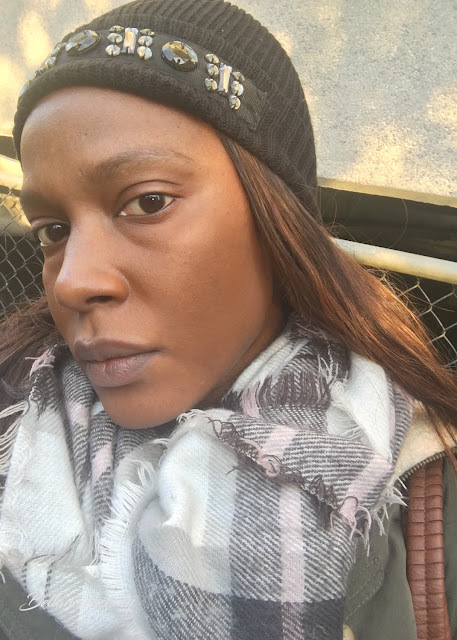 Have you ever even seen or worn a transfer-resistant foundation? Brands make this claim all the time and by golly, I think Dior has figured it out. I thought I was hallucinating. I kept pressing my hand against my face to see if product was coming off, and it was barely being removed! A true skeptic, I decided it was time to remove it and that maybe it had just worn off in the short amount of time I had it on (about 4 hours). I used a makeup remover wipe to wipe off my cheeks where I had applied the foundation and it was definitely still on there. 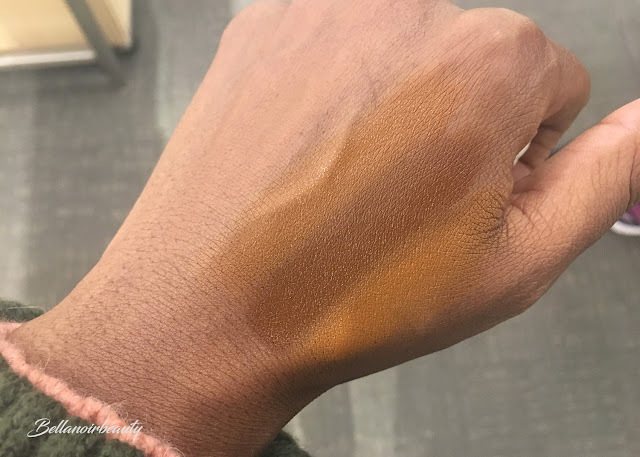 In summertime, when I will likely be more oily, maybe this will change but I was totally flabbergasted at how transfer-resistant the foundation appeared to be. So as bummed out as I am about the shades, I really, really hope Dior extends them.